A lot of attention is traditionally paid to the torso and upwards in menswear, but very little is often mentioned about pants, shoes, and accessories! Much fuss is often made in discussions surrounding men’s fashion about neckwear, blazers, dress shirts, and leather outerwear – often at the expense of understanding the rest of a guys wardrobe. Not only are well appointed and properly fitted pants and footwear extremely important to the overall look and image of any particular outfit – they are integral to your comfort throughout the day as most of us already know! Whether they be dress, casual, corduroy, denim, or any other fabric – pants are ultimately the most flexible and important part of any man’s professional wardrobe. Pants anchor the look entirely, setting the tone of the wardrobe conversation and immediately setting in motion the overall feel of any particular outfit. 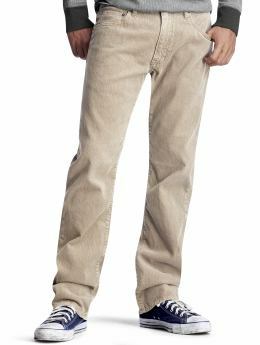 For example, corduroy pants imply comfort, a relaxed feel, maturity, and a sophistication not normally found in denim. Fine wool dress pants, on the other hand, send a signal of refinement, class, and high style. Socks should, whenever possible, match the pants they will be worn with – the major exception being of course with denim, in which case they should either be navy (as worn with most blue jeans) or tan (as worn with brown shoes). Important to keep in mind when considering matching socks to pants is that they should preferably be within range of the shade of the pant fabric without being too much the same. For example, a nice chocolate coloured argyle print sock with blue accent colours might be an excellent match for a pair of tan or bark coloured casual pants coupled with a French blue sport-shirt. The belt should, at all times, match the footwear. In the case of black pants, it is highly advisable that one would wear a black belt and black shoes. Likewise, with brown pants, a brown belt and shoes are more stylish. When it comes to grey, both colours are acceptable – brown looking surprisingly excellent on a lighter, wispier summer grey and black tending to look better on darker, charcoal varieties. Because pants are so useful in everyday life and style as well as for formal and dress occasions, it is important to understand the strengths of certain particular varieties and keep a few tips in mind when shopping for a new pair of slacks. Above all else, it is important to wear well-made and well-fitted pants, with the hem falling simply at rest over the back block of your shoe, cresting once over the tongue of your footwear with perhaps an inch to spare. Pants that furl into folds at the bottom look clownish, and pants that are too short and constantly reveal your socks (or lack thereof) will completely break an otherwise perfect look. Denim is a great candidate for purchase in that it is so very versatile, fitting into every possible event perfectly and with grace. Popular choices for styles in men’s denim would be indigo dyed fabrics with slight to extreme distressing in grey or chocolate tints – as well as fitted smoke coloured jeans making a huge rise to prominence in the last year amongst younger men. In casual pants and corduroy, something to consider might be the resurgence of the herringbone print on men’s trousers – a look which is extremely vintage while retaining a metropolitan and professional aire. With regards to formal or dress pants – the simplest recommendation is that of pinstripes or chalk stripes, both wildly popular and extremely stylish given current fashion trends. Paying more attention to one’s bottom half when building a wardrobe from the ground up is a sure key to style success and will ensure that your eventual outcome is both flexible, filled with variety, and easy on the eyes!